The Austrian real estate company will sell a major stake in the real estate broker Resag. Assets over € 600m should be sold this year. 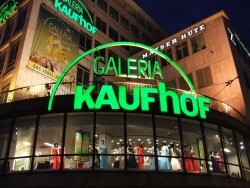 The Austrian real estate investor René Benko plans to purchase the retail trade chain Kaufhof from the German Metro group. The richest 10% of Austria´s population possess 54% of the monetary wealth. Regarding real estate, inequality is observed too. Total cost of the Austrian real estate company’s project amounted to € 100m, including a co-investment by French retail chain Auchan. Karl Aiginger, CEO of the Austrian Institute of Economic Research calls for a significant increase in taxation of real estate and fuel. Due to the weak economic growth, the Austrian real estate company already sees difficulties in the Austrian rental market for offices. The Austrian real estate company holds out the prospect of a dividend payment. EBIT is expected to increase by 20% this year. Austria, the Czech Republic and Poland are the three countries from Central Europe, where the condition of the property market according to the banks’ opinion is the best – states the KPMG’s research - CEE Property Lending Barometer 2011. Since the beginning of 2011, rents on the Viennese rental market increased by 2.0%. 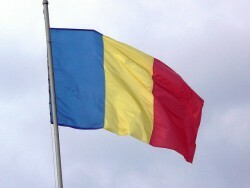 On average, the rent for one square meter is € 13.00. According to the “Bank Austria Real Estate Country Facts”, commercial property markets in Croatia, Serbia and Slovenia are gaining ground, but risks of overheating remains. The Austrian real estate company invests € 53.2m in the Europacity development project. The hotel is scheduled for completion in 2013. The Austrian real estate company invested € 50m in the project, making it one of the top five shopping centers in Poland. According to a new study by Kreutzer, Fischer & Partner, 280km2 of agricultural area were rededicated into building area from 2007-2011. Yearly profits therefrom amount to € 2.7bn. After the expiration of a convertible bond, the Austrian real estate company anticipates a substantial rise in equity. Additional management of more than 4,600 residential and approx. 300 commercial units in Berlin and North Rhine-Westphalia At 30 June 2011, Austrian conwert managed a total of 60,825 residential and commercial units. The Vienna-listed Atrium European Real Estate Limited, a real estate company focused on shopping centres in Central and Eastern Europe, announces the appointment of David Doyle as CFO, with effect from 1 January 2012. The share repurchase programme of the Austrian real estate Group starts on 6 October 2011. Erste Group: “CEE Real Estate stocks with upside potential of 15%, profitability lags behind”. The upward trend in CEE is driven by low vacancy, strong occupier demand and low pipeline. Birgit Noggler was appointed to the Executive Board of the Austrian real estate company. She will take up the post on 1 October. The Austrian construction group will invest € 250m in a property in prime capital location. Completion of the project is expected in 2015. The Vienna-listed real estate group extends its-Czech portfolio, which now reaches 98 properties after Prague's largest real estate transaction in 2011. The Austrian real estate company records increasing rental income in the first quarter of 2011/12. The decline in profits is due to foreign exchange effects. The Austrian real estate company cancelled its contracts with Resag and Wiener Privatbank to realize a savings potential of between € 1.5m and € 2.5m annually. The Austrian real estate company made its largest office property acquisition since 2008. The purchase price is € 102m. The Austrian real estate company Immofinanz informs, that the conversion of the convertible bonds 2011 is possible only until 06 October 2011 at 4.00 pm (CET). Together with ECE, the Austrian real estate company sells a 80% stake on the project Skyline Plaza, which is a shopping center in Frankfurt, Germany. 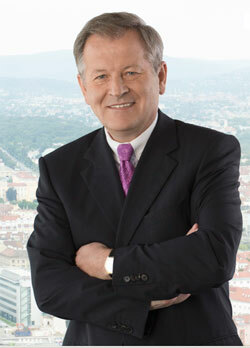 In the first term of 2012, Austrian leasing companies experienced a 25%-growth. Total business volume amounted to € 3.3.bn. The Austrian real estate company reported the successful implementation of its five-year sale program. By 31 July property sales had generated proceeds of € 665.4m. The Austrian real estate company recorded a loss of € 3.2m in the first half of the year. EBIT fell from € 13.4m to € 7.6m. The Austrian real estate company recorded EBIT of € 51.3m, up 70.6% year-on-year. Net income doubled to € 10.1m. Rental income of the Austrian real estate group increased by 54% in the first half of the year. EBIT amounted to € 112.4m, up 53% from the reference period. The Austrian real estate company registered a strong decline in EBIT and incurred a net loss of € 3.0m in the first six months of the year. The Austrian real estate company recorded a decline in income of 33% year-on-year. Proceeds on the sale of properties are expected to reach a total of € 600m in the full year. The real estate company achieved a plus of 19.4% in net rental income in the first half of the year. 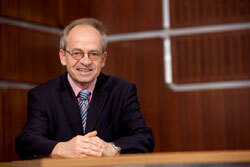 Profit before tax increased by 8.9% to € 113.7m. The head of the Austrian real estate group had been accused of insider trading and delayed shareholder information. 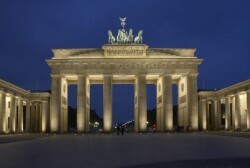 In the first half of 2011 Austrians invested € 8.3bn in real estate. Vienna remained the number one region with a total volume of € 2.31bn. The real estate company will develop a shopping center in the city of Lublin for the French retail chain Auchan. 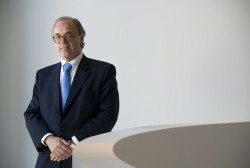 The Austrian real estate company expects an operating result of between € 61m and € 63m for the first half of 2011 and an increase of 15% for the full year. The Austrian real estate company recorded an increase in net profit of 60% and will pay a dividend for the first time since 2007. The Austrian bank generates a stimulus for Vienna’s real estate market and finances 53 apartment houses with € 110m. The Austrian real estate company plans to develop a shopping center in the Polish city of Lublin. Opening is scheduled for 2013. The Austrian real estate company and its partner sold an office property in Vienna for € 75m to Bank Austria Real Invest. The Austrian bank signed a purchase agreement with Amisola Immobilien AG. Falkensteiner Michaeler Tourism Group will take over management of the hotel. The Austrian real estate company sells the Sobieski Hotel in Warsaw, together with an adjacent 6,000 square meter office building to Wenaasgruppen, headquartered in Norway. The Austrian real estate company reached an agreement on the refinancing of its logistics center in St. Petersburg. The new funds will be invested in further projects in Russia. The Swiss-based town developer appoints Austrian Gerhard Niesslein as new CEO of the Group. Samih Sawiris remains Executive Chairman focusing on the firm's strategic development. As a result of the agreement, the American-Israeli real estate fund will receive net cash of € 64m and generate a profit of € 156m. An acquisition of the real estate portfolio is not affordable for the Austrian group. 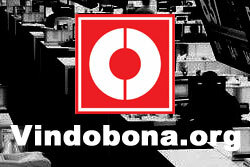 However, it might enter a partnership and take over the asset management. The Austrian real estate company’s Hungarian subsidiary leased out nearly 4,000 m² in the heart of Budapest. The vacancy rate was reduced to below 9%.